Pine pollen powder is the most concentrated whole food source of testosterone. Pine pollen powder benefits all living things by being the most potent plant source of testosterone known. This fine yellow powder seems to settle on everything (even vertical surfaces like cottage windows in Georgian Bay!) during the spring. This incredibly potent androgenic substance literally gives a much needed growth and libido boost to almost all plants and animals that come in contact with it after a long winter's hibernation. The common image of a pine cone (such as the statue from the vatican courtyard to the left) is actually the female aspect of the pine tree. The male cones that produce the pine pollen powder, which is the plants sperm (nuts and seeds are more like mini uteruses), are thinner, more phallic looking and occur at the ends of branches (see next image below). A pollen grain is microscopic in size and looks like a mickey mouse head where each of the "ears" are concave to catch the wind so it can flow to the female cones on other trees or even onto the same tree to successfully pollinate them. To experience the benefits of pine pollen powder you can always wildcraft your own. Find out what time of year the pollen falls in your area (usually mid-April in Northern latitudes) and head out with a bag. You can place the bag over the ends of the pine tree branches and gently knock the cones to get the pine pollen powder to fall off into the bag. You can also collect some of the whole cones (please don't over harvest from any one tree!) by clipping them off into a bag or jar and then going home and pouring an alcohol with a 35% or higher alcohol content over them to make your own tincture. To learn the secrets of making incredibly potent tinctures check out the audio and video program "Tincture Control" by clicking here. If you don't have access to pine trees, if it's the wrong time of year or you simply don't get a chance to harvest your own, you can get the benefits of pine tree pollen in powder, capsule or tincture form by clicking here to get some from Surthrival. Pine pollen powder has been used extensively in traditional cultures throughout Asia. The earliest mention of pine tree pollen's medicinal use is in Chinese herbalism from the classic text "The Pandects of Materia Medica" by Shen Nong. The benefits of pine pollen have also been used by the Koreans where it is sold in boxes much like baking soda or other baking ingredients. It is used in food for it's amazing mineralization and adaptogenic properties. To date there is no information about pine pollen powder's history of use in Western herbalism, Native American herbalism or Ayurvedic herbalism. All of these systems have used pine nuts medicinally (which are mildly androgenic) and Native American herbalism uses the inner bark of pine trees as a food and medicine as well. The amounts of the following nutrients vary per species. Some of the antioxidant related properties of pine pollen powder include; increasing SOD levels (superoxide dismutase, perhaps the most powerful and crucial antioxidant the body makes) in the blood, inhibiting lipid peroxidation, increasing glutathione transferases which help breakdown and remove xenobiotics (environmental pollutants) and metabolites of oxidative stress (pollutants made by the body) from the body and reduction of lipofuscin deposits (a brown pigment responsible for age spots a.k.a. liver spots) in the heart, brain and liver. Pine pollen powder's claim to fame is the potent androgenic effect it has on the body. It contains bio-available androstenedione, testosterone, DHEA (dehydroepiandrosterone), androsterone and a wide variety of other steroidal type substances (which unlike synthetic steroids you hear about in the news, are perfectly safe)! These anabolic compounds help maintain and increase muscle mass, keep the skin smooth and tight, maintain a healthy libido, optimize tissue regeneration, optimize breast health in women and testicular and prostate health in men, aid in the excretion of excess estrogens and speed up the metabolism to help burn off excess fat. Taking a pine pollen tincture is said to be the most effective way to get the above mentioned anabolic constituents into the bloodstream without any degradation possibly caused by digestion. To what degree digestion may damage some of the hormones it is hard to say, but holding the tincture in your mouth allows the active compounds to be aborbed sublingually. DHEA certainly does make it through normal digestion without damage but testosterone and some of the other steroidal type substances seem to be more effective in tincture form. Pine pollen powder makes a great food that can be eaten in higher quantities than you can normally take in the tincture form. This way you get more of the proteins, vitamins and minerals but there is still a fairly potent androgenic effect. Women can definitely get the benefits of pine pollen without waking up the next morning with a beard, a deep baritone voice and 20 inch biceps... (Actually if anyone wakes up with that after taking pine tree pollen, please let me know!) Excess body hair growth is caused by elevated DHT levels (which can be controlled with Saw Palmetto or Nettle Root) rather than free testosterone, so no need to fear growing a moustache. 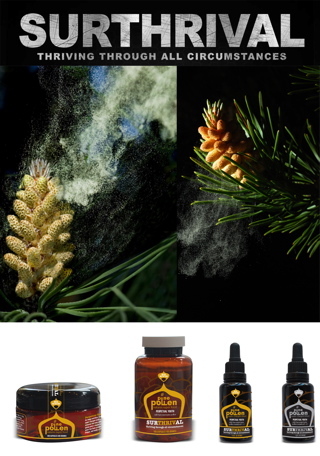 Women in Asia discovered that pine pollen benefits overall skin health and smoothness through many of the same avenues mentioned in the paragraphs above. Androgens are the promoters of youth. Collagen and elastin (which make up the underlying matrix of the skin) are stabilized and kept from degrading which is the cause of wrinkles. Another way to prevent wrinkles is to make sure you drink plenty of living spring water everyday. These are some of the vitamins, minerals and other nutrients contained in pine tree pollen. Keep in mind that the amounts vary per species. Are there any contraindications with pine tree pollen? While pine pollen benefits overall health with no negative side effects, there are certain cases where it should be avoided. Adolescents (especially males age 20 or younger) should avoid using pine pollen powder due to their budding hormone levels. Supplementation with any type of bio-identical hormone at puberty or younger is discouraged since this can affect the bodies ability to produce that hormone normally later on in life. Of course under the guidance of a competent health care practitioner who is using hormone testing it could be used appropriately. Another potential problem that pine pollen powder could cause is an allergic reaction in those who are normally allergic to plant pollens (especially if they have noticed their allergies acting up when the yellow pine pollen dust settles on every single surface around them!). For some reason some people who are allergic to bees have also showed signs of being allergic to pine tree pollen. If you are allergic to bee stings it would be wise to start with a very small pinch of pollen and put it on your tongue, or put a single drop of the tincture under your tongue and gauge your bodies reaction to it. While certainly not a major concern, it should be noted that some companies have found that pine pollen benefits one's health to a greater degree when it has had its cell walls cracked. Surthrival's pine pollen powder has undergone a process that cracks the cell wall without harming the phytochemical constituents within the pollen. 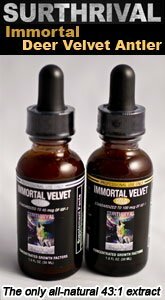 Alcohol based tinctures are also very effective for breaking open the cell walls and when taken should be held under the tongue for 1-3 minutes for best absorption. 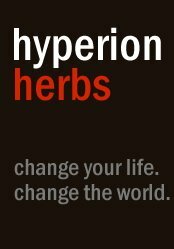 You can get Surthrival's pine pollen in powder form, tincture form and/or even capsule form by clicking this text link. There are many fascinating qualities about the pine tree and its mythology. To highlight the androgenic character of pine trees it is interesting to note studies on rivers downstream from mills that process pine trees and the bark and pulp are left saturating in the water. Often the female fish have actually been found to turn into male fish. This is only a characteristic of pine trees and most notably this has been documented along the Atlantic coast of France and Northern Africa with the tree species being Pinus pinaster. Again, pine pollen powder isn't so powerful that it will turn human females into males! Changing sexes is only a characteristic of fish and amphibians who are very sensitive to artificial or even natural hormone-like substances that can easily permeate their body through their skin in the water. The nuts (from the female cones) and the inner bark have both been used as a food as well as medicine by traditional cultures. The seeds have a very unique flavour for a seed with an obvious hint of pine. They are mildly androgenic whereas pine bark has a lower androgen content. The inner bark can be prepared as a starchy food, boiled almost like pasta and eaten, which is how the Native Americans used it. Pine pollen powder from the male cones is by far the most highly androgenic part of the whole tree for all the various pine species. 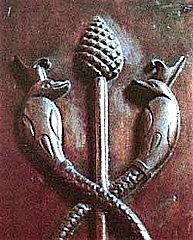 The pine cone is also common in Egyptian symbolism with the most common depiction being the staff of Osiris where it is seen with a twin Uraeus (the snake god) coiling up to the top in a caduceus formation. 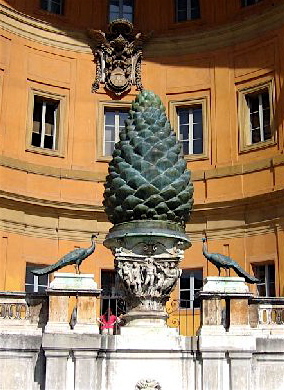 The pine cone is also seen in the palms of various hindu deities, on the staff of Bacchus from ancient Greece, on the ceilings of masonic lodges and more currently on the staff held by the pope as well as in the Vatican court yard (which is pictured at the top of this page). 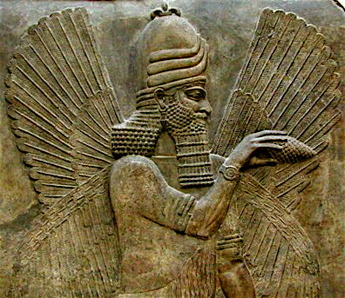 The use of the pine cone in religious symbolism has been associated with enlightenment and an opening to greater spiritual dimensions through the pineal gland. 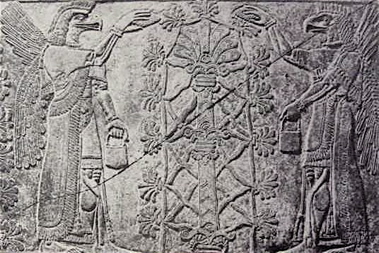 Both the pineal gland and pine cones have a similar shape and images of the pine cone on the staff for instance show a rising of energy (the staff) followed by the opening "petals" of the pine cone at the peak (which is the enlightenment experience where the pineal gland produces unique secretions of substances like DMT and other neurotransmitters that unlock higher awareness). It is interesting to note that the pineal gland is the only part of the brain that is not "paired", meaning that there is only one of them while every other part has a "mirror opposite" (such as the left and right hemispheres of the brain). This would logically indicate that the pineal gland could be seen as the centre of the brain and thus the centre of our being. The Biblical translation of the word “Peniel” means “Face of God”. Click to return from "Pine Pollen Powder" to the "Adaptogenic Herbs" page.